Dimensions in Dance, Ballet Misha’s affiliate school, was founded in 1995 by Michele Leslie, a professional dancer with Dance Theatre of Harlem. Her vision for the school was to teach dance as an art form, not as a competitive sport. Dimensions in Dance, which was taken over by Amy Fortier in 2007, stays true to Leslie’s original vision by offering the highest caliber training by our professional faculty, and offering many performance opportunities each year. Dimensions in Dance is a warm and nurturing environment where dancers are encouraged, supported, and helped to be their best. Our studio fosters friendship and camaraderie, while maintaining the highest standards of dance training, as evidenced by our dancers being accepted into numerous pre-professional programs including Boston Ballet, American Ballet Theatre, Jose Mateo Dance Theatre, Central Pennsylvania Youth Ballet, Ellison Ballet, Joffery Ballet, Alvin Ailey, and Walnut Hill School for the Arts, as well as many collegiate programs. 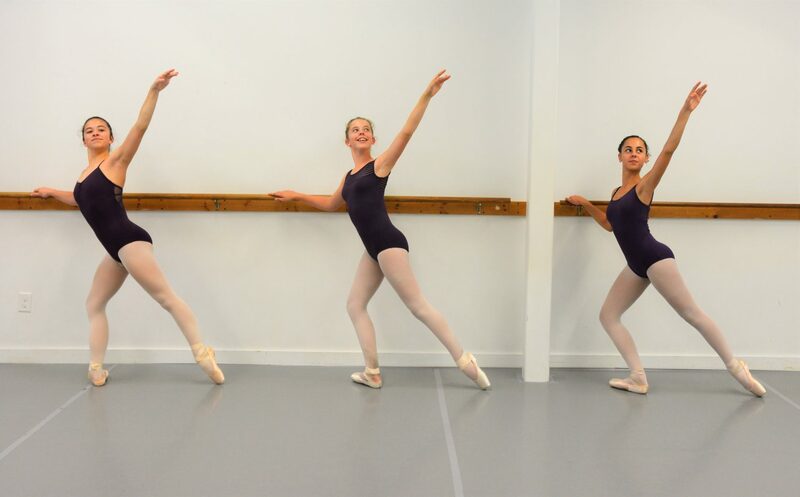 Our students have continued on to become professional dancers and dance educators. 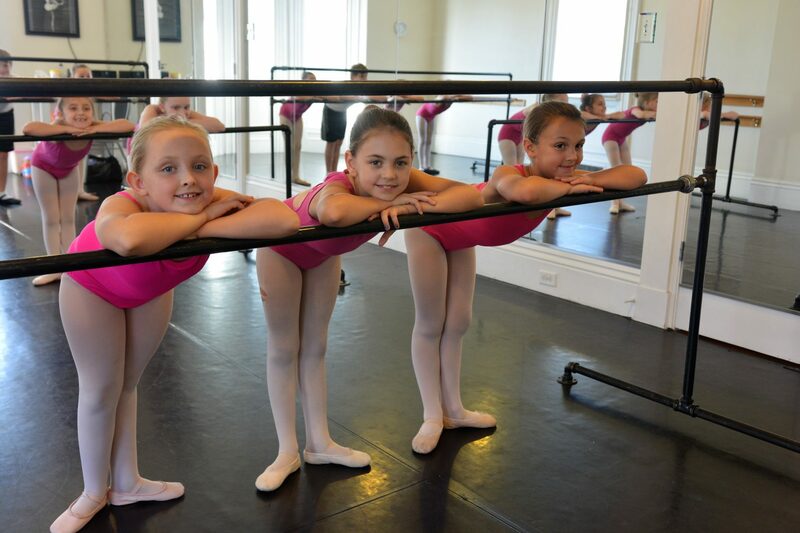 Dimensions in Dance has been repeatedly voted “The Best Dance Studio in NH” in the Union Leader and Hippo Press, and has also been awarded Parenting NH’s “Family Favorite” award. 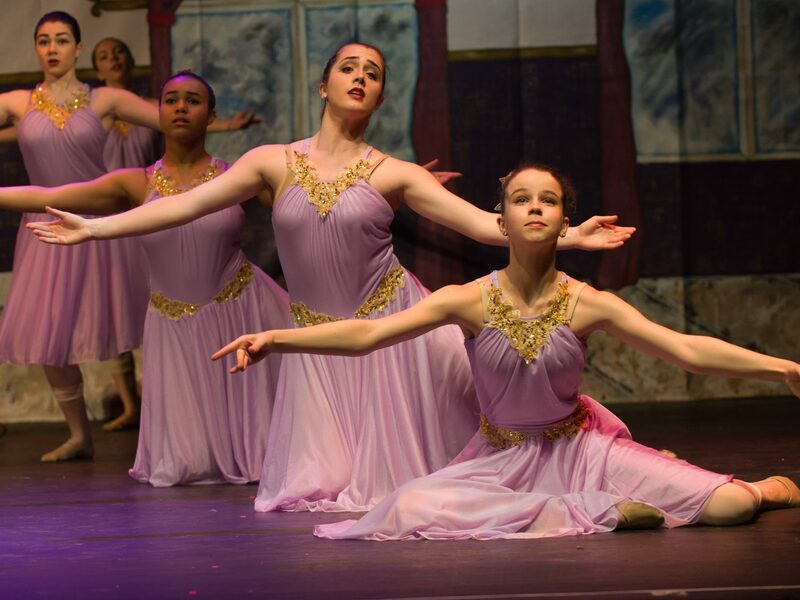 At least half of our students come to Dimensions in Dance from towns other than Manchester because they recognize the training is worth the drive from Bedford, Derry, Londonderry, Goffstown, Hooksett, and towns even further away. Dimensions in Dance is committed to keeping dance affordable so many can have the opportunity to study it. Our tuition is one of the most affordable in New Hampshire, and we offer increasing discounts for each additional class a dancer takes. We offer family tuition discounts so that if one member is paying full-priced tuition, each additional member received 10% off their tuition. We do not charge an additional performance fee or any other additional charge for dancers to participate in the annual production. Dancers pay for or rent their costumes only. We keep the price of tickets affordable so families can easily attend to see their dancer, and tickets are sold directly through the Palace Theatre so that every family can choose their seating preference. We also do not require families to purchase a set number of tickets; families buy only what they want. 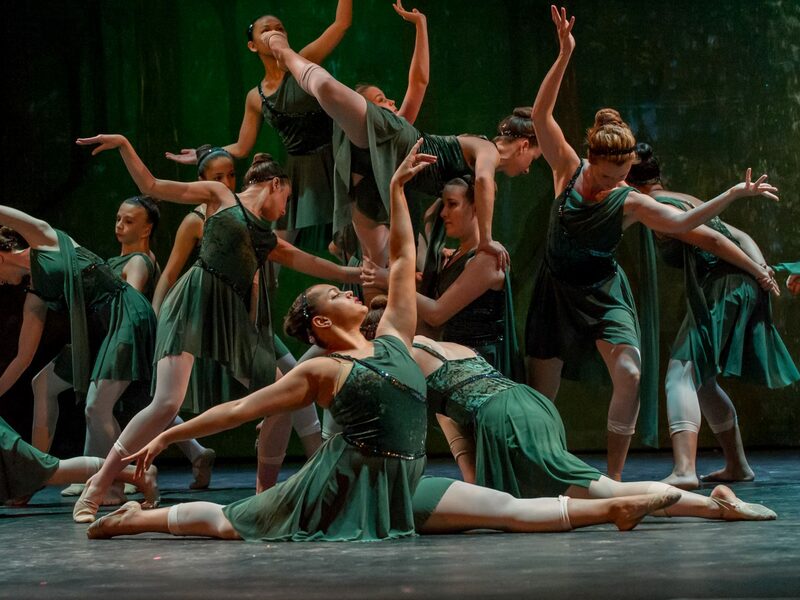 Dimension in Dance’s annual spring production at the historic Palace Theatre is a family favorite. Instead of the typical format for a recital with dance routine after dance routine that can last for hours, we actually do a full length story production with elaborate sets, backdrop, and special effects. We believe children should wear age-appropriate costumes and dance age-appropriate steps, and we never put our dancers in risqué costumes. 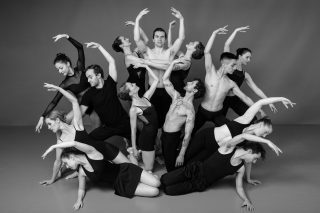 Dimensions in Dance is also deeply committed to our Community, and the studio and its affiliate company Ballet Misha frequently give free performances. We have performed for children in numerous local schools, as well as at Intown Manchester’s Family Fun Fest, ArtJam BridgeFest, The Currier Museum of Art, ArtFront NH, The Manchester Public Library, the Manchester Community Music School, and Canterbury Shaker Village. We feel that it is important for dancers to perform because dance is a performing art, and we like sharing our love of dance with our community. 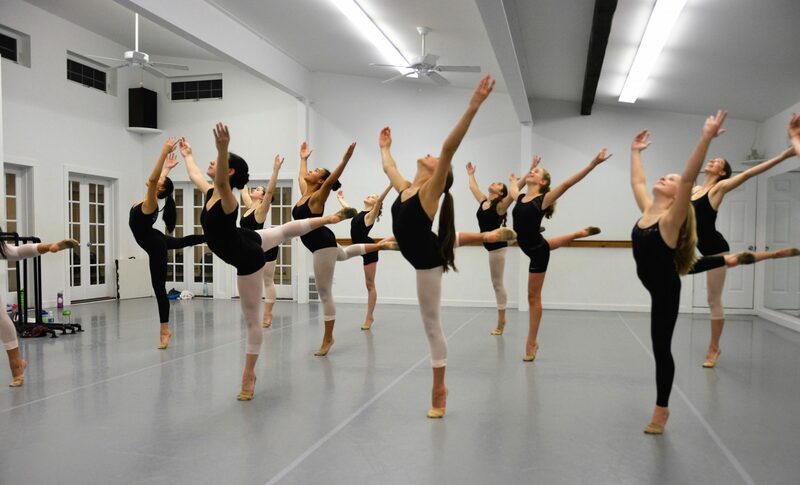 Dimensions in Dance is committed to providing our students with a diverse dance education by offering Master Classes each year, and during our amazing summer intensive. Past teachers have included Susan Endrizzi from Jose Mateo, Assaf Benchtrit from Joffery Ballet, Jennifer Howard from Twyla Tharp, Nile Russell from Pilobolus, Melissa Reed from Susan Farrell Ballet, Kylie Quan from Ballet X, Maria Konrad from Koresh Dance Company, Lorraine Chapman from Lorraine Chapman Dance Theatre, Jessie Stinnett from Jessie Jeane and Dancers, Robyn Goulette from Saving Grace Dance Ensemble, Rebecca Power from Jose Mateo, and many others. We also organize field trips to see professional dance productions, including performances by The New York City Ballet, Boston Ballet, Alvin Ailey, James Sewell Ballet, and Ballet Hispanico. 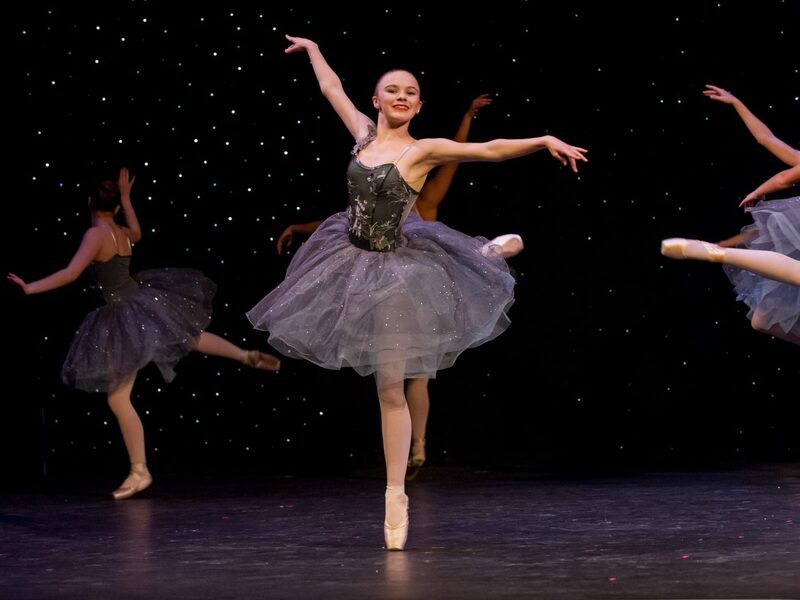 The school has also organized trips to Saratoga, NY in the summer to visit the National Museum of Dance and see New York City Ballet perform at the Saratoga Performing Arts Center. In 2012, Dimensions in Dance purchased a Historic building built in 1920 on Myrtle Street in downtown Manchester. After a year of renovations and historic preservation, Dimensions in Dance was excited to move into this beautiful new space. 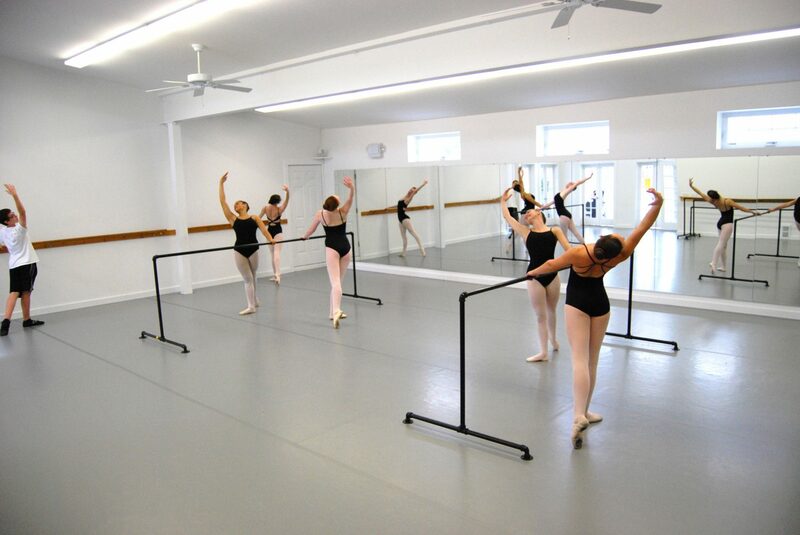 We have three studios, ample waiting areas where parents can watch class, and a lounge for our dancers to use before and in between classes. We have our own parking lot, as well as additional street parking, both free and metered. In addition to providing valuable physical fitness, dancing offers a wealth of important skills for all ages. Dancing improves coordination, flexibility, and complex motor skills, which is why many professional athletes take dance classes. Even if children only dance for a few years, the proper posture they learn in class can last a lifetime. For adults who often spend so much time in repetitive postures, like staring at a computer screen or carrying children and heavy bags, dance helps to correct postural and muscular problems. Dance also teaches musicality, enabling dancers to identify different types of music, as well as count and phrase music. Scientific studies have also shown that children who take dance classes have improved study skills as dance class necessitates the continual memorization of vocabulary and movement phrases, which improves memory skills. This is also true for adults, and studies have shown that taking dance classes helps prevent diseases like Alzheimer’s. Dance also teaches discipline and builds self-esteem and confidence. Plus, it is lots of fun and is a great way to release stress! Dance can help teach your children many valuable life-skills as well. In a world of instant gratification, dance teaches that hard work, diligence, and commitment are necessary for success. Mastery of skills can take years, but the determination and dedication required for this are applicable to all things in life. Every year, we put together a full-length story production involving all of our students who wish to be in the show, from pre-school to adult. We use sets, backdrops, special effects, intelligent lights, and beautiful costumes to create an amazing show each spring. Our past productions include Peter Pan, The Little Mermaid, The Wizard of Oz, Aladdin, The Lion King, Beauty and the Beast, Alice in Wonderland, and many other great stories. We believe it is important for dancers to feel like they are “part of a production” instead of just being in their annual recital. Our dancers are given characters in each show: for example fairies in Peter Pan or tea cups in Beauty and the Beast. We do not make our young children have their own performance, and we do not have separate performances for ballet versus jazz, tap, and modern. Our productions showcase all of the dance styles we teach, and demonstrate the progression of dance training by having all ages in one show. This really adds to the feeling of inclusion and community we emphasize at our studio. Many families say our unique annual production is one of their favorite aspects of our school because they are so much more enjoyable to watch than a normal recital that has unrelated dance routine after dance routine. We also believe children should wear age-appropriate costumes and dance age-appropriate steps, and we never put our dancers in risqué costumes. Our performing company Ballet Misha provides several addition performance experiences every year for dancers who wish to perform more. Ballet Misha’s The Nutcracker was awarded the “Best Art Event of the year” by the Hippo Press. We have also done a full length ballets of A Midsummer Night’s Dream, and The Wild Swans, as well as shorter ballets including Where the Wild Things Are, The Mermaid and The Magic Comb, Isabella and the Pirate Prince, and Gwendolyn the Graceful Pig. We have also done several performances of new choreographic works, and performances at local schools, public libraries, Retirement Communities, The Currier Museum of Art, The Manchester Community Music School, Canterbury Shaker Village, and numerous special events.